The Book Pocket Clothes program is designed to provide clothing and inspirational writings to children ages 4-10 in low socioeconomic areas throughout the world. The clothes have a pocket that holds devotional books of encouragement written by Jana Jackson that promotes the concept of “you are beautiful and loved.” The clothes are hand made by volunteers. The Space Camp program is for kids ages 5-13 and is designed to engage the youth in STEM-related activities that are both fun and educational. The Prgoram is divided into two different camps: Grades K-3 and 4-7. Our program was developed by an Aerospace education specialist trained by the National Aeronautics Space Administration (NASA) and has been successfully implemented throughout the U.S. and Puerto Rico. The Story book Collection is a globally-targeted initiative, designed to teach and inspire youth in various socio-economic conditions around the world through books which feature children’s stories about faith, love, integrity, and kindness. Book proceed will support the foundation and its programs. Jana Jackson for K.I.D.S. Foundation is a Non-Profit 501 (c) (3) Corporation that provides innovative programs custom designed for kids, which merge the educational interests of philanthropists, professional sports organizations, youth groups, corporate sponsors, community service organizations, and local school districts. The goal of the program is to bridge the gap between kids’ current understanding of work ethics, and what is needed in the real world. Students will engage in STEM-related curricula such as drones, aviation, coding, and more, which will inspire them to better understand their own skills and how to apply them to real life career opportunities. At the same time, students will be exposed to successful people from the community and athletic arena which will model for them what is successful and appropriate i the workplace. The Engineering camp is for youth ages 14-19 and is designed to inspire all kids with emphasis on low socio-economic groups. The program exposes them to community role models and engaging them in experiences customized to various high-tech arenas. Click here to volunteer for this program. The Engineering enrichment program is an after school year round STEM oportunity for students in 9th-12th Grades. The program engages students in high tech studies which supplement their school curriculum and prepares them for summer internships and entrance into the best Universities. Jana passed her Ph.D. comprehensive oral and written exams on the day Rosa Parks passed away. Jana celebrated her personal success and the success of other women made possible by the efforts of Rosa Parks. That afternoon, Jana’s father called her and asked her to come home because he was going into hospice. Jana left immediately with her children and put her pending Ph.D. on hold. Phoenix area public schools grades 8-12 Science TeacherHer education leadership experience with these organizations includes Teacher, Teacher Trainer, Consultant, Adjunct Professor, Curriculum Developer, Education Leader, Legislative Researcher and Statutes Writer, Text book Writer, Program Specialists, Educational Specialist, and Inspirational Presenter.Jana has held firmly to her passion to teach and inspire her entire life. 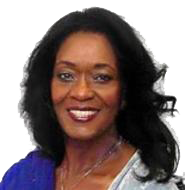 Her commitment to God, Family and community have always been her guiding principles.Jana completed her Bachelors of Science degree in K-12 Science Education from Governors State University, Forest Park, IL. In between her professional career and raising her 7 children, Jana worked on a Ph.D. in Educational Leadership and Special education Policy & Law. Jana studied under professors at various university who were considered the best in their fields. The universities she attended included: Indiana University at Bloomington,Indiana; Florida State University, Tallahassee, Florida; and the University of Kansas, Lawrence, Kansas. Please take a moment to watch our brief video to learn more about the Jana Jackson for K.I.D.S. Foundation. Let’s Work Together to Support Our Remarkable Youth! Please take a moment to fill out a contact form for more information or if you would like Jana to make a presentation to your organization. © 2018 Jana Jackson for K.I.D.S. Foundation. All Rights Reserved.